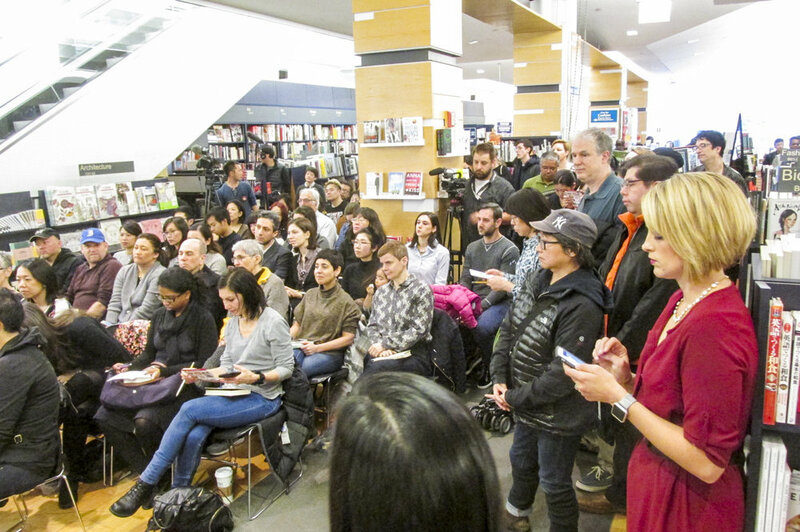 Marie "Konmari" Kondo made a special appearance at Kinokuniya New York on February 20, 2016 as part of a documentary being filmed by NHK WORLD, “Tidy Up With KonMari!”. The documentary will follow her as she is filmed visiting some actual homes and helping clients apply her special tidying and organizing methods. 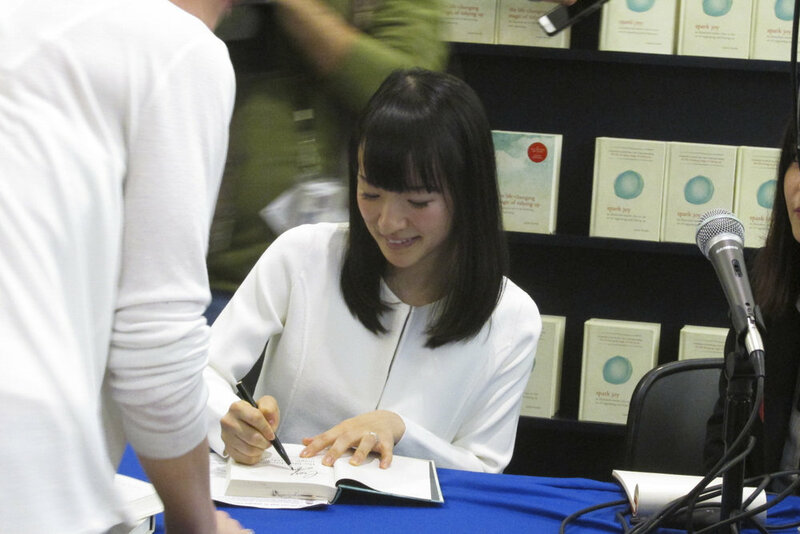 Marie Kondo made her presentation at Kinokuniya around the release of her new English title, Spark Joy and talked about her methods sharing some of her success stories with clients. Along with the NHK World documentary team, a number of news crews including CBS News were on hand to film the presentation and to interview audience responses.